Round 1: Lopez is using the entire ring - Mtagwa is pressing forward. Lopez is using his edge in hand speed to land quick, clean punches. He is continually beating Mtagwa to the punch. Round 2: Mtagwa is making Lopez fight more this round. Mtagwa is landing more punches, but taking some clean shots too. Mtagwa lands a left hook at the bell. Lopez is controlling the range, but Mtagwa is getting closer. Round 3: Lopez lands some straight lefts and right hooks. Mtagwa keeps coming forward. Mtagwa hits Lopez with some overhand rights. Lopez starts to suffer swelling under his left eye. Round 4: Toe-to-toe action, Lopez hits Mtagwa with clean shots. Lopez is really trying to stay at a distance. Mtagwa is still the aggressor and landed a hard overhand right. Round 5: Lopez is landing straight lefts and right hooks. Lopez scores a knockdown on a bad call by referee Eddie Cotton. The right hook by Lopez went around the head of Mtagwa, but Mtagwa went down because he was off balanced. Round 6: Mtagwa connects with a vicious right. Lopez hits Mtagwa with a solid straight left. Mtagwa gets nailed with a hard right hook from Lopez, but continues to press forward. Round 7: Mtagwa throws wild shots, lands an overhand right. Mtagwa rocks Lopez with a solid overhand right. Lopez fires back, lands a counter right hook. Mtagwa lands another right. Round 8: Lopez wobbles Mtagwa with a straight left. Mtagwa lands a straight right and Lopez counters with a straight left. As the bell rings, Mtagwa clocks Lopez with another overhand right. Round 9: Mtagwa hurt Lopez with a hard right. Lopez countered with a straight left. Mtagwa gets tagged with a straight left. Lopez gets nailed again with an overhand right from Mtagwa at the bell. Round 10: Lopez lands a big right hook. Mtagwa hits Lopez again with an overhand right. Round 11: A left hook, right hand combination hurt Lopez. Mtagwa is coming on strong, but Lopez fights back. Lopez fires and lands a straight left. Mtagwa holds on after getting hit with a straight left - right hook combination. Mtagwa comes back with a left hook - right hand combination. Lopez is almost out on his feet, but survives the round. Round 12: A series of right hands and left hooks stun Lopez. Lopez finishes the fight on his feet, but looked dazed throughout the entire round. Scores were 114-114, 114-113 & 115-111 in favor of Lopez. Overall Summary: Fight of the Year candidate? Very likely. Fight fans learned a lot about both Rogers Mtagwa (26-13-2, 18 KO's) and Juan Manuel Lopez (27-0, 24 KO's) on Saturday night. Although Mtagwa is not the hardest puncher Lopez has faced, he may have proved to be his toughest opponent. Lopez proved that he can take a solid punch. He also showed a tremendous amount of heart and toughness by finishing the fight on his feet when he looked completely out of it in the 12th round. Lopez won many of the early rounds, which helped him get the decision over Mtagwa. Mtagwa is a much better fighter than his record indicates and has a very solid chin. He absorbed many clean punches from Lopez early in the fight. In the later rounds, Mtagwa walked through the clean punches Lopez was landing and found a home for his overhand right to connect repeatedly. 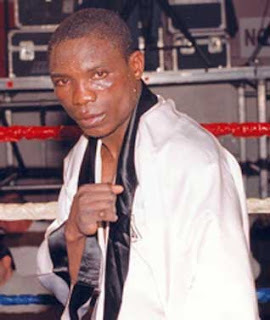 Lopez tried to go back to using the ring to box Mtagwa, but Mtagwa kept the pressure on and never took a backward step. If Mtagwa had a better defense and didn't take so many punches from Lopez, he could have won on points. Perhaps, if Mtagwa had more power in his punches, he could have scored an upset knockout. What we learned about Juan Manuel Lopez? Well, he can take a punch and survive when the going gets tough. Lopez found himself in the toughest fight of his professional career. He can use this experience to better himself in his next outing. He landed solid combinations, but looked hesitant to stand in the trenches and go punch for punch with Mtagwa. Lopez did not put on the performance fans are accustomed to seeing as a result of the pressure Mtagwa was applying. Lopez is a very good up and coming fighter, but is not as great yet as people say. For Mtagwa, as previously stated above, showed to be a much better fighter than his record indicates. He would be a handful for many fighters out there, who would be willing to challenge him. Mtagwa is originally from Tanzania, but trains and lives in Philadelphia, Pennsylvania. He fought like a true Philly fighter against Lopez. It would be great to see a rematch, but do not expect it to happen. Mtagwa showed too much that Lopez's people probably would not give him another opportunity. Look for Lopez to move on to fight bigger names. Hopefully, a fight with Cuban sensation Yuriorkis Gamboa can be made in the near future. Get your MMA protective equipment for less. In heavyweight action, Odlanier Solis stopped Monte Barrett in 2 rounds. Barrett (34-8, 20 KO's), who took the fight on 4 days notice, was dropped with a hard, counter left hook in the 2nd round. Barrett rose to his feet, but was swarmed with punches from Solis. Solis floored Barrett again with an overhand right that landed behind the ear prompting the referee to stop the bout. Solis improved his professional record to (15-0, 11 KO's). Solis does not appear quite ready to challenge either of the Klitschko brothers. He weighed a very heavy 271 pounds for this bout. Get a heavy bag by Ringside or Everlast. 2004 Gold medalist at heavyweight at the Olympics in Athens. In a junior middleweight bout, Pawel Wolak applied relentless pressure to force Carlos Nascimento to quit on his stool after five completed rounds. Wolak pressed the action from the opening bell and landed hard shots to Nascimento's body and head. Nascimento was trying to fight Wolak off, but Wolak's effective aggression wore him out quickly. Nascimento just could not stand there and exchange punch for punch with Wolak. Pawel Wolak's record improves to (25-1, 17 KO's) while Carlos Nascimento drops to (24-2, 20 KO's). Wolak's lone defeat came against Ishe Smith in 2008 by a 10 round unanimous decision. Also, Yuriorkis Gamboa (16-0, 14 KO's) defeated Whyber Garcia (22-7, 15 KO's) by a 4th round TKO to remain undefeated and retain his WBA featherweight title. 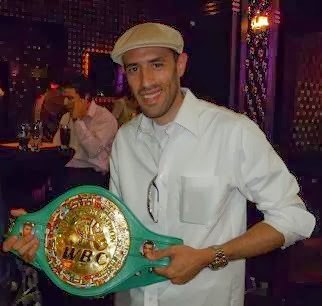 Garcia could not get his punches off quick enough to be competitive with the former Cuban amateur star. Gamboa's hand speed was too overwhelming for Garcia to overcome. In the 1st round, Gamboa landed a quick right that sent Garcia stumbling back. Then, Gamboa swarmed Garcia with blistering punches. Later in the 4th round, Gamboa caught Garcia with a counter right that dropped him. Garcia got back up, but was met with a barrage of punches and had no defense for Gamboa hitting him. The referee quickly stopped the bout. Expect some more fights for Yuriorkis Gamboa before he faces a big name opponent. 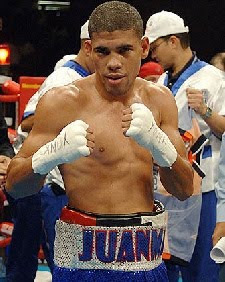 Hopefully, a bout in the short term future could be made with Puerto Rican Junior Featherweight Champion Juan Manuel Lopez. Gamboa's resume includes 250 amateur bouts, a Gold Medal at the 2004 Olympics as a flyweight and a Bronze Medal at the 2005 World Championships as a featherweight. Get ESPN magazine subscription for cheap.